Nowadays, most of the people still think size matters to get sensational results. When we spot a guy with such big & heavy camera, with a huge & long lens, we think "oh, that guy must a such a great photographer". The truth is that a "big lens" is not equal to great images. Neither so-called professional gears don't make someone with no knowledge turn into an award-winner. As I won't win any F1 race because I'd be driving a Ferrari. 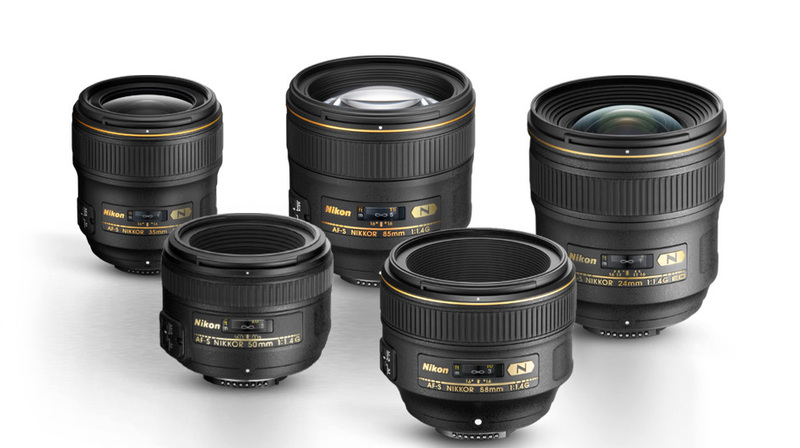 My first lens was the classic "kit lens" 18-55mm on my Nikon D40. Then I wanted something bigger. I invested into a 28-300mm. Then, as I switched to the full-fram Nikon D600, I invested into a 24-70mm, a 50mm & later a 35mm. As I left Nikon to Fuji xt-2 (cropped sensor), I used a 16-55mm & a 23mm. Inside the lens, there is the diaphragm, which is the mechanism that makes a variable aperture to control the intensity of light that passes through the lens. Along with shutter speed, this is what controls the exposure received by the film or image sensor. A lens can be "zoom" or "prime". If there are 2 numbers to define the lens (16-55m for ex), you'll be able to zoom. If there is only one focal length, you'll have to walk :D! The aperture & the zoom settings will have consequences on the depth of field. The focus is made through the lens, either automatically or manually. The lens might have an integrated stabilisation system to avoid motion blur. It took me quite a long time to find the lenses I love & which are part of my photography life now. I don't regret any choice I made, every step was an occasion to learn what I like, dislike & need. My photography changed when I began to use the 50mm (for full-frame - so for a cropped sensor, it'd be globally 35mm). I had to walk. I had to move. I actually learn to go & get what I want. Walking makes me discover new places, meet new people & enjoy even more my photography experience. And I found out that I was putting much more intention into what I was photographing & at the same time, I was letting myself explore much more too. I just loved every aspect of using a 50mm lens. And I had to push a bit further composition & framing. To be honest, I think I actually learnt how to compose & frame. Using the grid on the screen, I worked in the rule of third or symmetry. I used the environment to frame my images. I just liked my work more & more, as I think my images were getting stronger. - It very often has a very wide aperture, which makes it a luminous lens. Click here to read a great article about amazing photographers using specific lenses (and most of them are prime lenses). And here are the results of shooting the same subject with a wide range of lenses. See how the focal length has a huge impact!